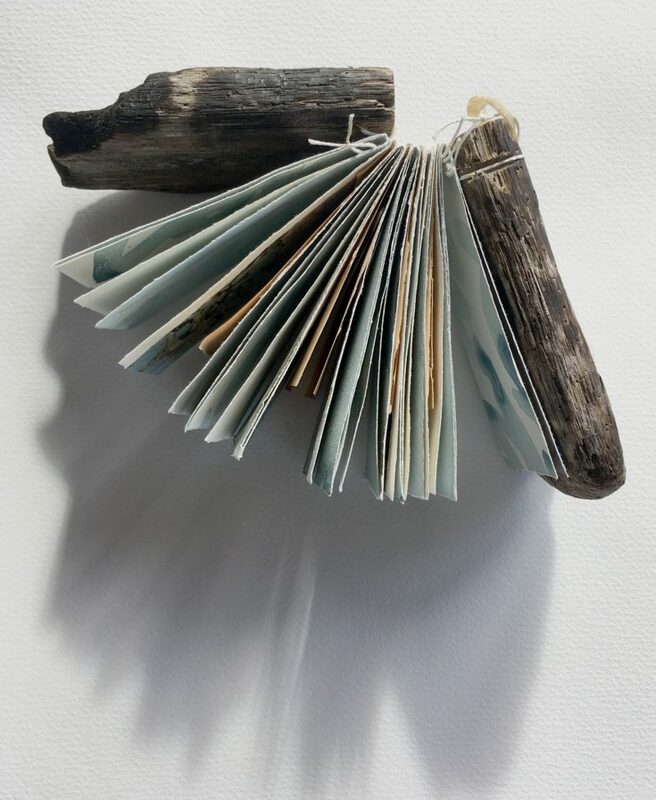 Escape to the elemental Isle of Iona for a special retreat, creating a unique book with driftwood covers. Iona has long been a spiritual centre – reputedly where The Book of Kells manuscript was so beautifully illuminated. 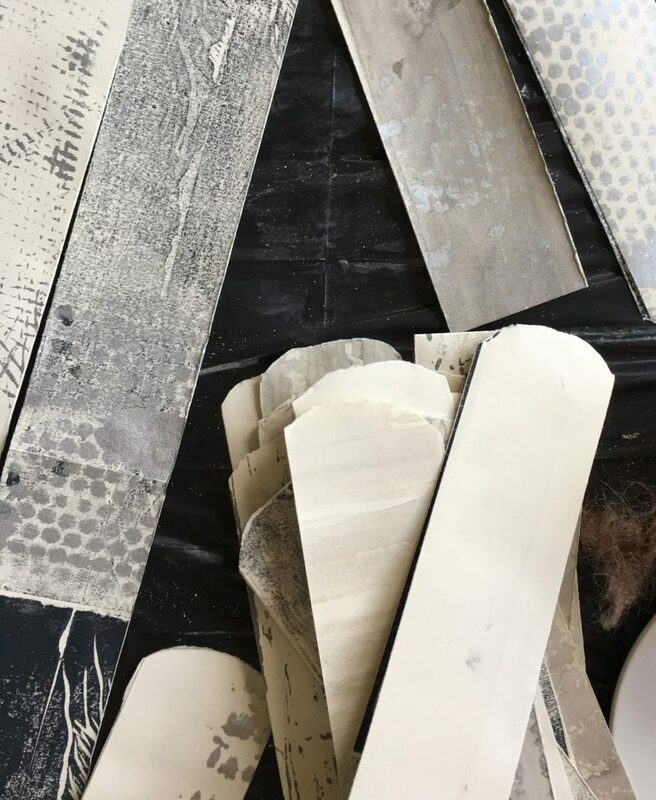 You’ll have time for some imaginative renewal, guided by an experienced teacher who will lead you through the process of making a book with wooden covers, step by step. Enjoy producing a very personal record of your island time. This course takes place once a year, with only a small number of places. A rare opportunity to work with Rachel Hazell at her island home. 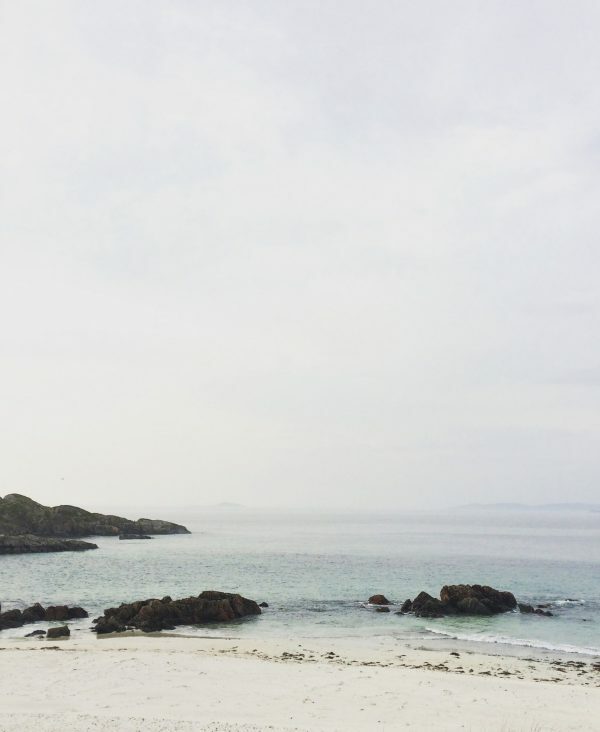 Travel to the Isle of Iona, by train, ferry, bus or car. Information on connections provided! Arrive on the island in time for the evening welcome dinner. Or step off the ferry early and have some hours to yourself. Begin with introductions – to techniques and to each other. Choose your place at the workshop table and settle in to a concentrated day of bookbinding skills. Learn many ways of folding, stitching and binding books, in steady step-by-step exercises. By lunchtime you’ll have bound a range of book structures. The afternoon will focus on the Coptic stitch, creating a small example to practice the binding ahead of working with driftwood covers. 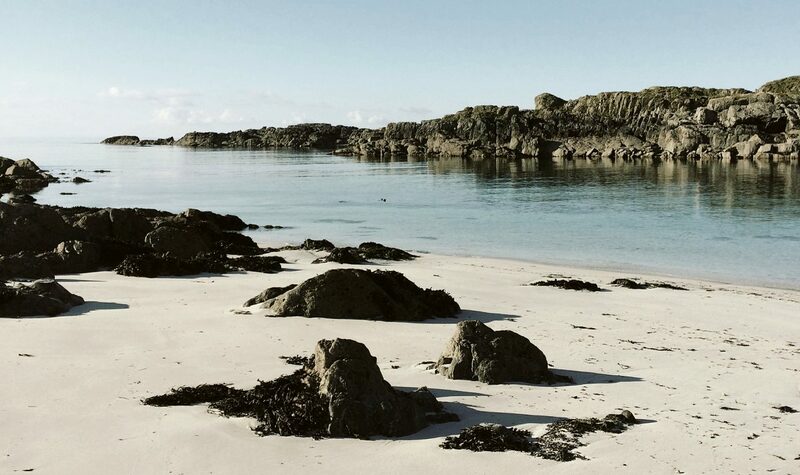 Formal instruction will finish around four, for you to make the most of the island – shell collecting, exploring the coast or visiting the abbey. After breakfast we’ll meet in the barn to transform to transform your chosen piece of driftwood into a unique front and back cover. Bring gloves, and a pencil. I’ll show you how to mark where the wood will be divided in half, and the best position for holes, ready for stitching later. Under your direction, John (my Iona Man) will saw covers and drill holes. The rest of the day is devoted to creating unique pages for your book. You’ll be advised how to cut paper down to size and given a brief for content prompts. 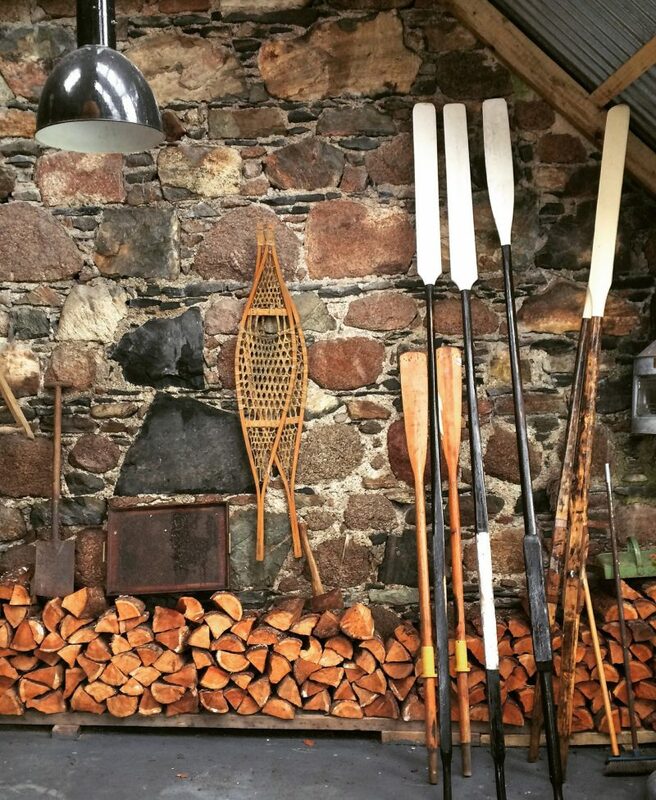 Prepare surfaces, get inky and gather visual inspiration together. Saturday Night is film night! You’re invited into our cosy crofter’s sitting room, filled with art and books, to watch a tale of love and adventure filmed on Mull. 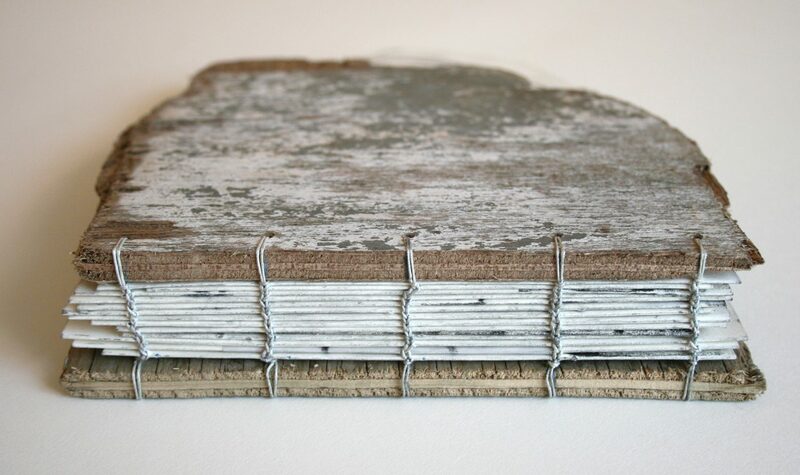 Today is all about continuing to fill the pages with your text and texture, print and paint. Our table will be completely covered with work-in-progress! Collate each section of folded papers, so that they are in the right order and the right way up. After lunch the final sewing will begin. The driftwood covers will be attached and the binding will be completed. There may be time to add more detail to the pages now. Share your creations at a celebratory show-and-tell tea party, followed by a well-deserved evening of eating, sharing and making merry. Depart after breakfast, with your driftwood binding carefully packed, alongside shells and ideas. 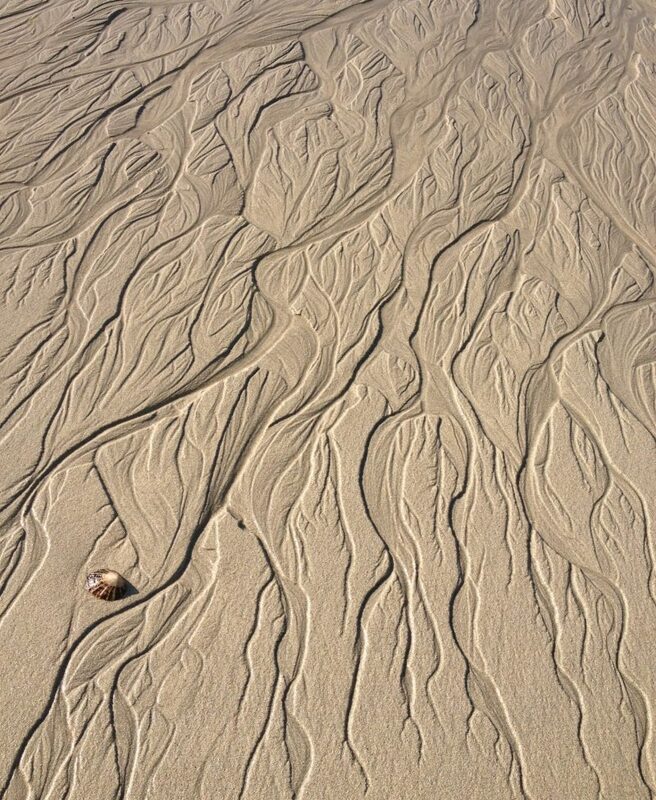 Maybe take a few minutes on the beach below the hostel before you go. Each day starts at 10am and finishes at about 4pm. Accommodation is provided in private rooms. All meals and materials are included. You are welcome to bring along flat pieces of driftwood found on another beach! Itineraries are prospective and could be subject to change.